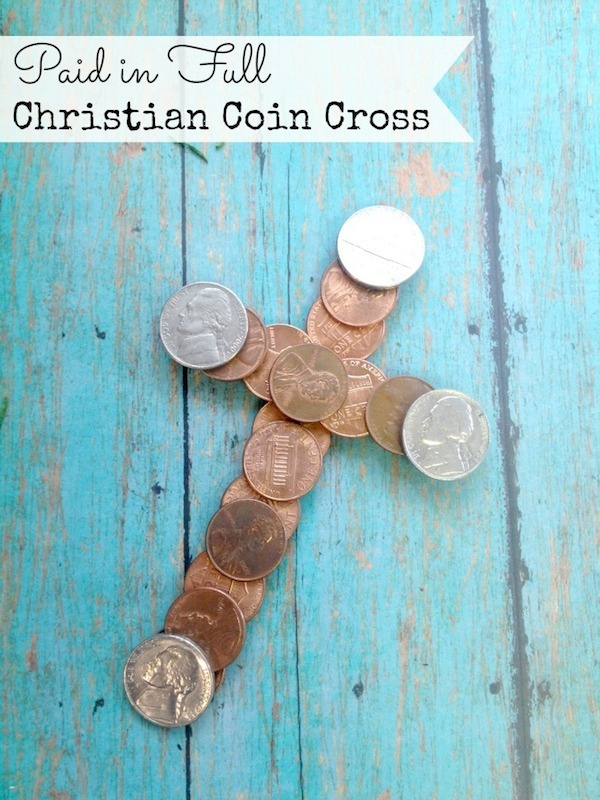 If you are looking for some family fun Christian crafts, this Paid in Full Coin Cross craft is perfect. It’s a great DIY craft for Vacation Bible School, Sunday School class, and would be an ideal craft for Easter. This is a craft that helps children understand Christ’s love for them, and how he has paid for their sins through his death. The coin cross is symbolic of our sins being “paid” for through the cross, a beautiful message for children to learn and embrace. 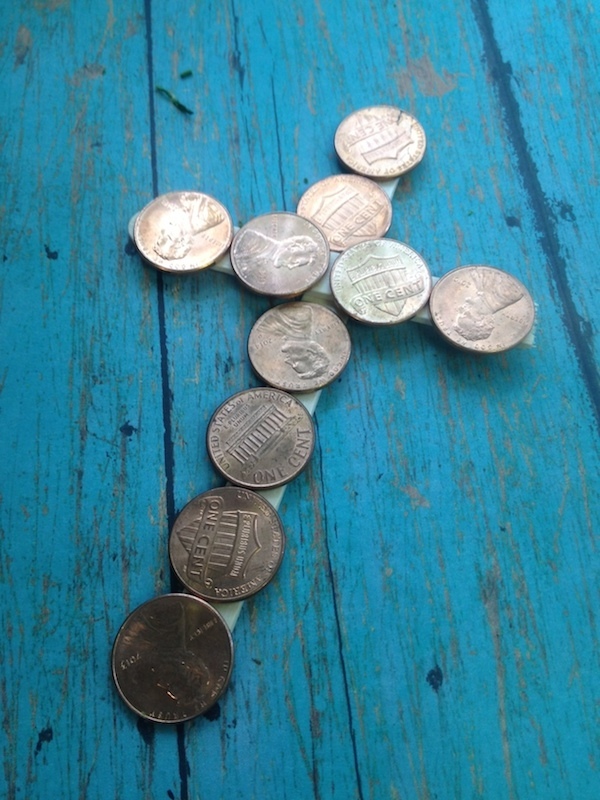 Take a look at how you can make your own Paid in Full Coin Cross Craft with just a few simple supplies. Begin the activity by explaining the purpose of the craft. You can begin with a Bible passage, brief story, etc. Explaining the symbolism behind the craft is essential. Break one of the craft sticks in half. Your upper horizontal stick does not need to be as long as the base/vertical stick. File the rough edge with a piece of sandpaper if you need to. 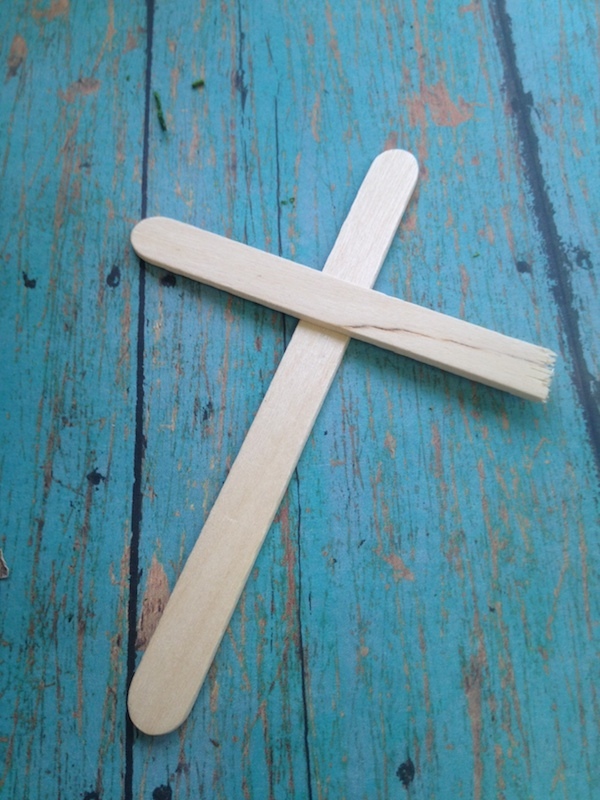 Cross the two wooden sticks over each other to create the cross. Use some Elmer’s glue to secure the pieces of wood together. Once the wood pieces are dry, apply a layer of pennies. 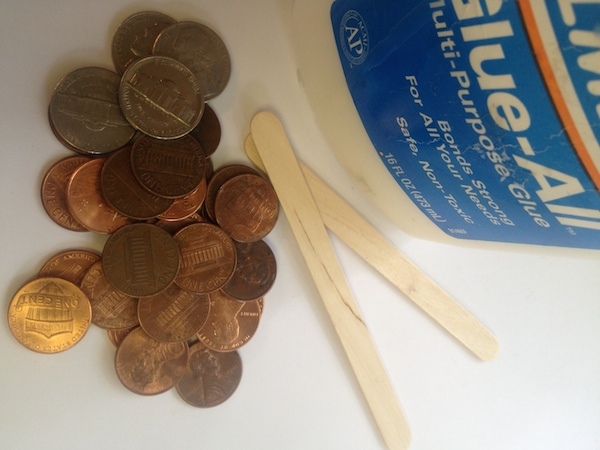 Use craft glue to glue the pennies to the wood in a single layer. Add additional layers of pennies to cover any bare spots and create some texture to the piece. 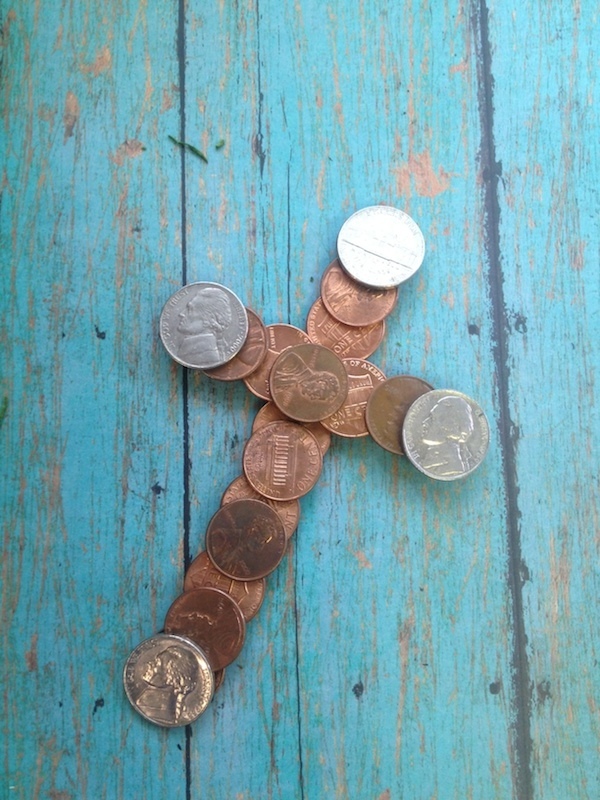 Finish the cross by applying glue to the nickels and pressing them to the four points of the cross as we did. Allow plenty of time for your coin cross to dry. Once it is, you can add string for hanging or just display it on a dresser or bookshelf. It is a wonderful reminder that our sins are paid for in full! This is the perfect craft for children to learn to embrace their Christian faith. Update: I used Elmer’s All-Purpose glue, but I would suggest using a hot glue gun, that way you won’t have to wait so long for it to try, and it will be more secure. I bet my kids would love making these, although, knowing them they would pull the crosses apart to keep the money for themselves. It’s such a simple craft, but it packs a punch with the meaning! Great! Another great craft idea! Thanks. A great idea and simple too. What a fun and unique idea! I might have to do this with niece and nephew this summer! This looks like something totally awesome to do during Easter season. I love the saying “Paid In Full on the Cross.” This would also make a great gift for someone. I think our children would like this craft activity, but am with Paula, they’d probably pull off the coins to keep! This is such a fun craft, and sends such a great message to kids. Will be doing it with the boys soon. My mother in law is a Sunday school teacher so I can not wait to share this project with her. I know she is going to love it! Awesome idea! I really love it! SO cute! THank you so much for sharing. I plan to use this as my easter craft for my preschool/kindergarten class sunday school. Experimenting with it tonight. What kind of glue did you use to make coins stick? This is an awesome craft! It’s easy and really clever!